In this publication, A. Bejan draws attention to the emerging literature and physics principle (constructal law) that provide the scientific foundation for sustainability. He shows that the sustainability need is about flow: the flow of energy and the flow of water through the inhabited space. All the flows needed for human life such as transportation, heating, or cooling, water are driven by the purposeful consumption of fuels, and this is why the wealth of a country (the GDP) is directly proportional to the annual consumption of fuel in that country. 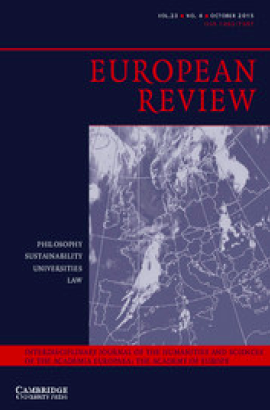 Adrian Bejan, Sustainability: The Water and Energy Problem, and the Natural Design Solution, European Review, Volume 23, Issue 04 , October 2015, pp 481-488, DOI. The Key to Sustainability: Flows of Water and Electricity, Duke University, News Release, September 23, 2015. Great point. Manoj Bhargava wants to bring water and power to the developing world. He is building graphene cables that will thicken existing infrastructure and spread tentacles into unserved areas.